How long has the caller seen the vehicle parked there? Are the windows up or down? Is the vehicle parked in the sun or shade? Is the dog sitting or laying down? Can the caller knock on the window? How does the dog react? What type of dog is it? What does it look like? Where is the dog in the vehicle? Is there water in the vehicle for the dog? 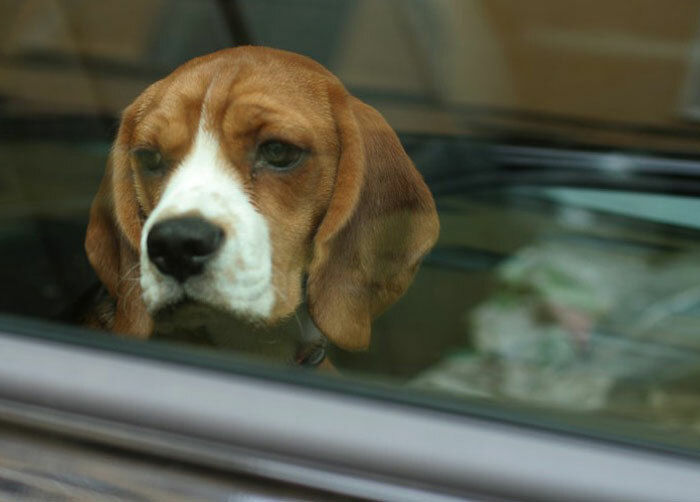 It is against the law to leave a pet unattended in a parked vehicle in a manner that endangers the health or safety of the animal. Under the Ontario SPCA Act, OSPCA investigators have the authority of a police officer when enforcing those laws pertaining to animals. The Act permits the investigator to issue a written order to the owner of the animal or to take the necessary steps to relieve the animal from distress. Non-compliance of an OSPCA order may result in the animal being removed from private property (including parked vehicles). Learn more here.